Greece's economic problems may be having a negative impact across much of Europe, but one country could be benefiting from its troubles. 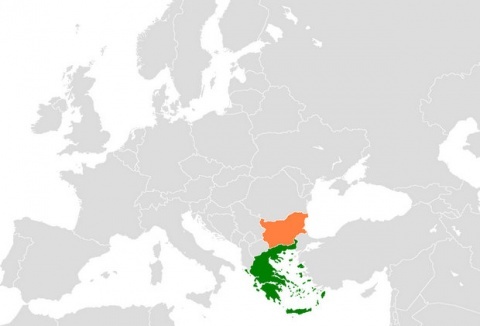 Greek investors are said to be jumping across their neighboring border to Bulgaria, money in hand. "It's a very sad reason but it is happening actually," says Georgy Ganev, an economist from the Center for Liberal Strategies. "Even some Greeks are transferring their monetary balances from Greece to Bulgaria -- obviously hedging the risk for Greece leaving the eurozone." Leaving the eurozone is the solution to Greece's troubles, according to markets analyst Louise Cooper, from BGC Partners. "Greece has to exit the Euro, it has to get competitive, has to devalue currency and then almost needs a Marshall Plan," she says. "Austerity has destroyed the country." Tough measures brought in to rescue the Greek economy have seen a massive drop in the standard of living, and it's brought pressure on the interim government. Whoever wins the national elections on May 6, the government needs to impose more austerity measures -- worth 5.5% of GDP, or USD 14.4 B, plus a further USD 4 B in taxes -- conditions of the EU/IMF bailout that is keeping Greece from going bust. Greek businesses are now looking at Bulgaria, to take advantage of its lower taxes and wages - and to be more competitive. Staff Jeans is one Greek company that is making the move. Part of its production is already carried out in Bulgaria but after sales in its home country plummeted by 40% last year, it is now looking at moving all of its manufacturing across the border. "What is happening in Greece right now is a tragedy," says Joseph Komninakidis from Staff Jeans. "We are losing a lot of revenue and at the same time have large costs bringing our products back and forth between Bulgaria and Greece." He says his company needs to reduce these costs to be more competitive in Europe. It's not just business that is shifting, but also private investors. Real estate brokers have noticed an influx of Greek buyers. "It is not so far to travel for them," explains Boyko Boykov from B & H Real Estate. "It's because of the prices and because of the location."